(AFP) -- Libya's outgoing National Transitional Council said on Thursday that Islamic law (sharia) should be the "main" source of legislation and that this should not be subject to a referendum. "The Libyan people are attached to Islam, as a religion and legislation," NTC spokesman Saleh Darhoub said, reading from a statement. "As such the National Transitional Council recommends that the (next) congress make sharia the main source of legislation. "And this should not be subject to a referendum," he added, speaking to journalists in Tripoli. He later explained that the decision was made to reassure elements of society fearful of being saddled with a constitution that does not take into account Islamic law, or sharia. 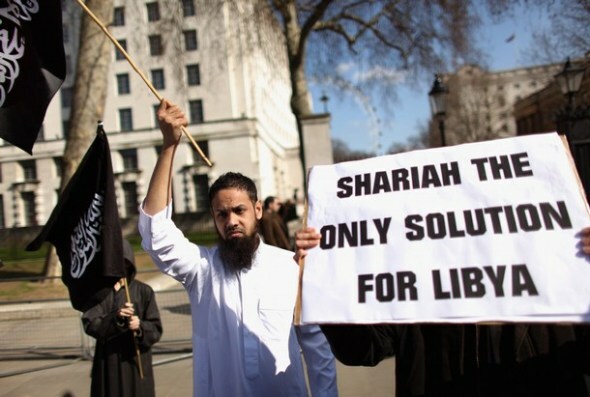 "We are not afraid of holding a referendum on sharia. But we wanted to reassure elements of society who are scared of the referendum," Darhoub said.